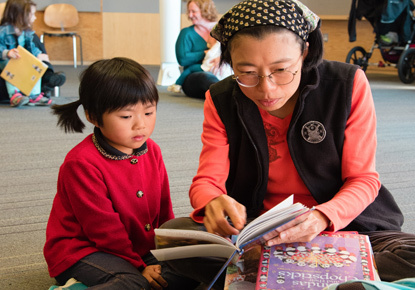 Saturday, Feb. 9, 2019, 11 – 11:30 a.m.
Story times are some of our most popular events! Please come early to make sure you get a seat. Due to the fire code, we can’t exceed the maximum capacity for our rooms. Parking is available on the streets around the branch. Patrons may pay to park in the garage beneath International District Village Square II. Enter the garage from the two-way alley behind the building via South Lane or South Dearborn. Daily parking rates available in parking garage.